My garden beds are almost ready to be planted out, this is why its time to collect finished compost. Not all my compost is finished, the reason behind that, is that I was adding new materials over finished compost. This is why I'm using a sifter to screen out the unfinished parts. The sifter can be found in Co ops for under two dinars. 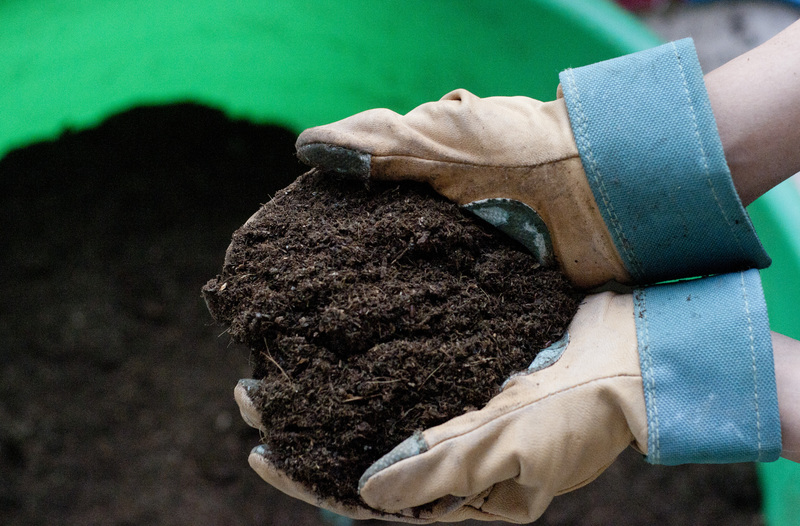 Sifting compost is a lot of work, but the end result is worth it. I got this fine, crumbly, clean, and attractive looking compost. This compost took under 3 months to transform from grass clippings, orange peels, cardboard, melon rinds, and more, to this rich dark magic fertilizer and mulch. 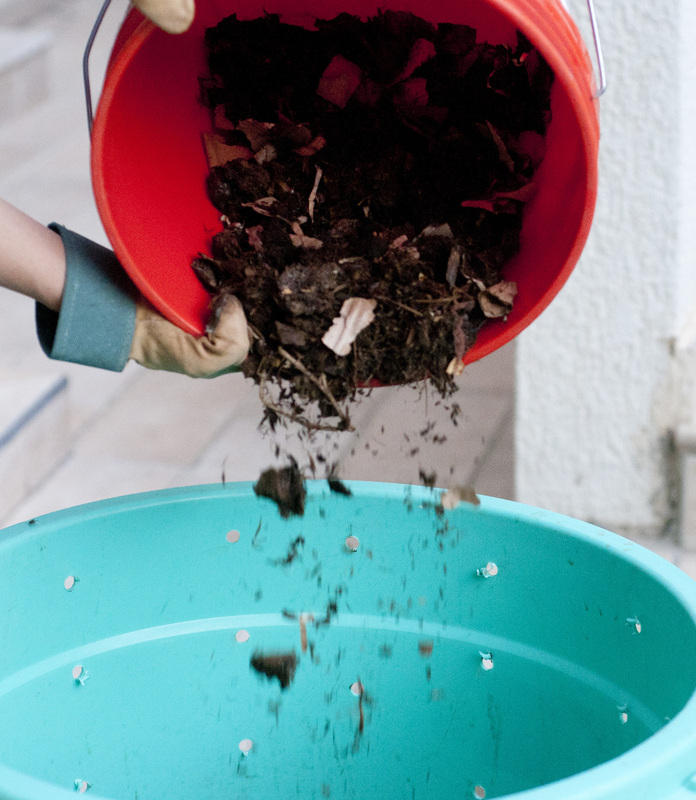 Sifting compost is done by pushing the compost through the holes or by shaking the sifter repeatedly. Make sure the container under the sifter is larger in size; to collect everything, because your compost is very valuable . I used a plastic basin. 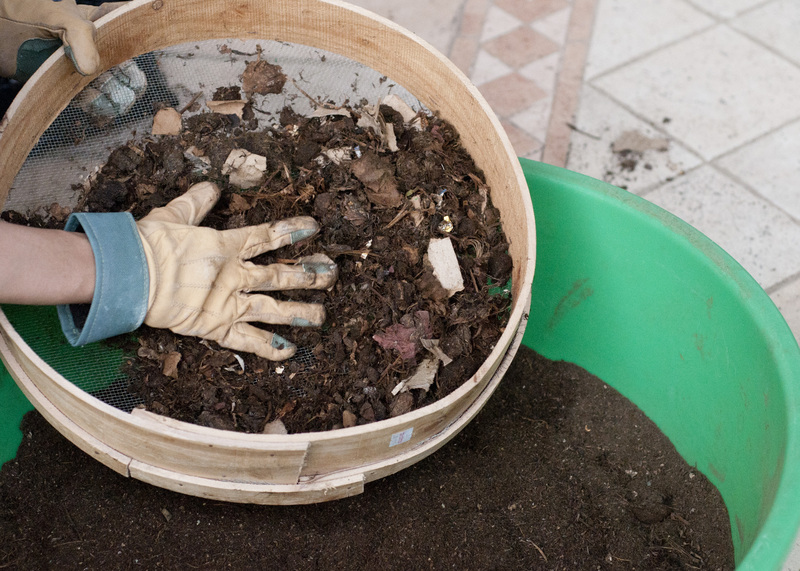 Collect and toss the unfinished compost (left in the sifter) in your compost bins for another round of composting. Can you believe this entire process took under three months! it looks great ya36eech el3afya, zayoon most of my seeds died while i was away what do u recommend i plant now? You really have the devotion and endless effort doing your passion. I’m impress. Thanks Shatha! Wee sorry to hear that, how about I pass by after my classes tomorrow with my seeds and you pick? i want to make my own compost, because i want to star seeding in the spring, do i have to start making it now? i live in tunisia do you think our wet weather (even when it’s hot it’s wet) will be a problem?